Briotix Health, the industry-leading provider of workforce performance optimization solutions, will deliver a presentation at the 2019 AgSafe ACTIVATE 19 conference that highlights new innovations in employee wellness focusing on early discomfort management. Continue Reading. From expansive growth in the understanding of early discomfort management to incorporating Industry 4.0 technologies in the workplace, 2018 saw the continued evolution of employee wellness. Based on industry research, company surveys, and anecdotal evidence, 2019 will bring even more transformation to employee health initiatives. 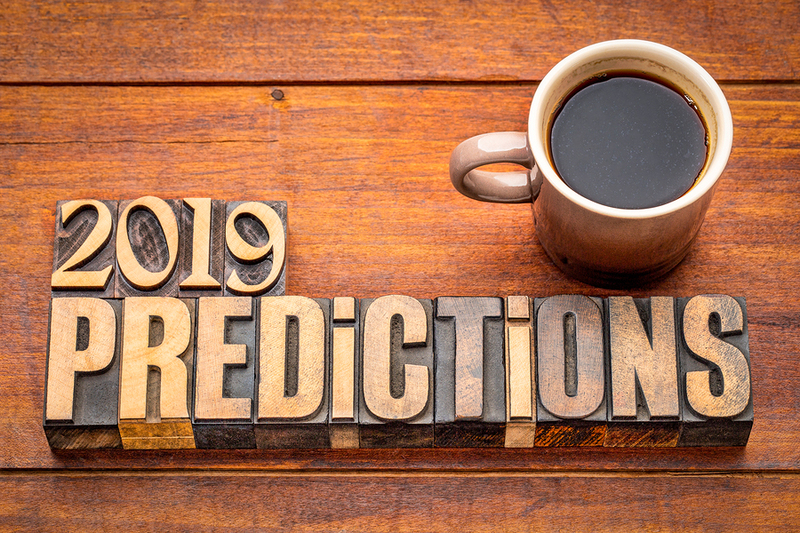 Here are the TOP 3 TRENDS we saw in 2018 and PREDICTIONS for 2019. Continue Reading. Briotix Health, the industry’s leading provider of workforce performance optimization solutions, will participate in a panel discussion at the 2018 National Workers’ Compensation and Disability Conference with UNUM and Norton Healthcare. The panel will discuss a Briotix Health Industrial Sports Medicine pilot program which demonstrated a significant reduction in disability durations containing costs and optimizing employee’s engagement. Continue Reading. Briotix Health, the industry-leading provider of workforce performance optimization solutions, will deliver an interactive training session at the 2018 Utility Arborist Association Annual Wisconsin Safety Summit which will provide coaching techniques that can be used to train employees to move safely in the most efficient way possible. Continue Reading. Briotix, LP is pleased to announce our merger with InSite Health, a national industrial sports medicine group. This merger will create a stronger company by combining the strengths of each business to deliver more diverse and technology-driven solutions. Briotix to Highlight How Wearable Sensor Technology Can be Used to Optimize Organizational Ergonomic Operations at Annual Applied Ergonomic Conference. Briotix Joins U.S. Physical Therapy as their Industrial Services Provider. A great opportunity to bring additional capabilities to the markets and clients we serve. Centennial, CO – March 23, 2017. Briotix Celebrates 20 Years of Transforming Workforce Performance. Our Growth is due to our success in delivering meaningful results, but we are not resting on our laurels. With our Anniversary comes a renewed commitment to “Make it Better” for our clients, their employees, our Team and our Partners. Centennial, CO – January 13, 2017. Controlling risk and improving client’s competitive advantage on a global scale. Briotix is partnering with Aon to bring more solutions to Aon’s clients anywhere in the US and abroad. This partnership comes at a time when clients are increasingly challenged to find solutions for workforce performance, including ergonomics, injury prevention and human performance. 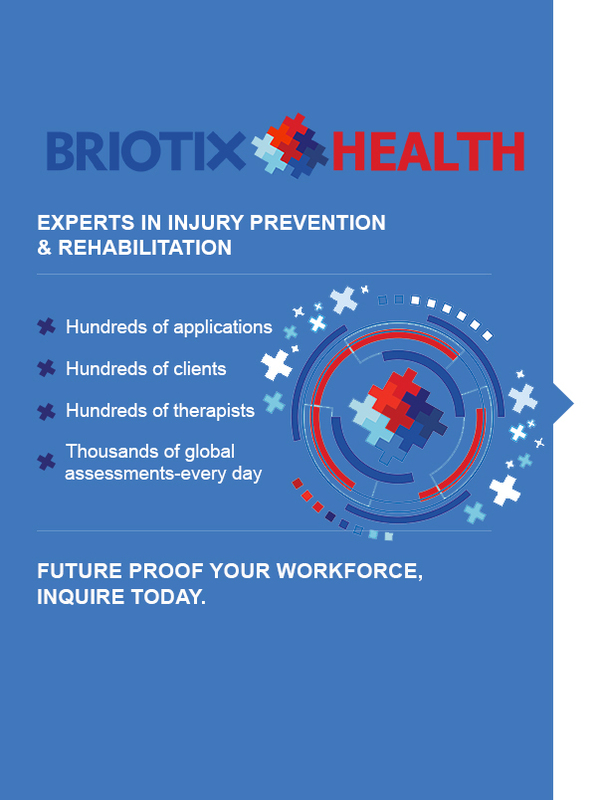 Briotix Inc., a global leader in ergonomics and injury prevention, launched a larger, more interactive web site to match its growth in web enabled and onsite services. The site details offerings by industry or product, covering a variety of solutions to employers big and small; global and local. On April 4, 2016, the California Supreme Court issued an opinion regarding California Occupational Wage Orders #4 and Industrial Wage Order #77, clarifying the considerations employers must make in deciding whether to provide seating in the workplace. 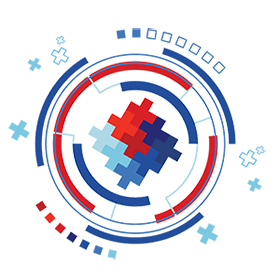 Briotix offers seating feasibility assessments and job analysis that can help shield an organization from risk that will result from this ruling. Acquisition positions Briotix as the largest US firm for Human Performance, Ergonomics and Injury Prevention services. 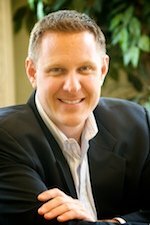 Corporate Introduction Signifies Completion of Merger of Equals, PreCare, Inc. and OHS, Inc.